The Comfort Table and the Food Pantry use signup.com to handle our volunteer signups. Please click on the button to the left to sign up to help out today! 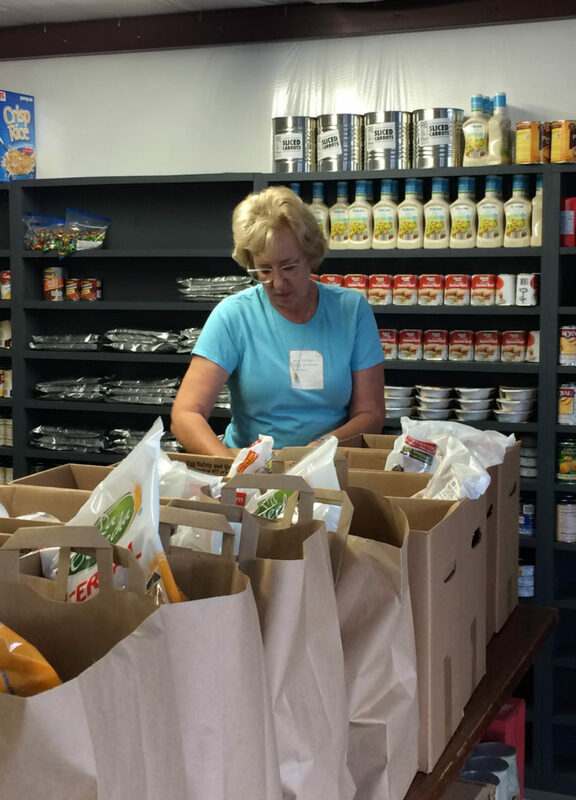 Pantry Volunteer - The Pantry is open 2 days a week - Tuesday & Thursday - from 3 - 5:30. There are two 1 1/2 hour shifts each day. Duties include putting boxes of food together, helping put food in peoples car & stocking shelves. Table Volunteer - Food is prepared, served & delivered to over 100 people each day the Table is open. Days are Tuesday, Wednesday & Thursday. Shifts are from 9:30 - 12:30. There are three volunteers for each day. 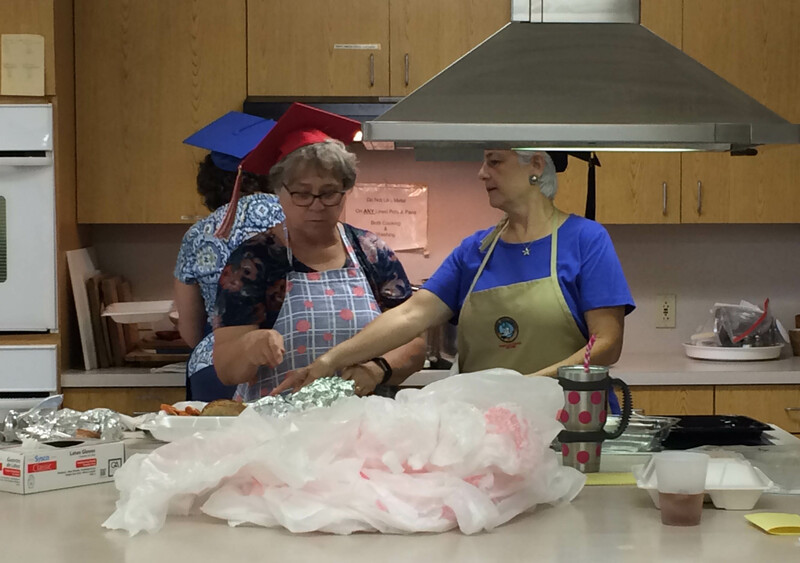 The volunteers prepare the food from a predetermined menu. All items and recipes are provided. Once prepared, the Table open at 11:30 til 12:30 and food is served to those that show up. Go boxes are prepared and then the delivery volunteers pick up and deliver the food. Truck Unloader - Unloads trucks of food items and places them in the Food Pantry. Stock shelves & put up frozen items as needed. Trucks come from the San Antonio Food Bank for the most part the 1st Thursday and 3rd Tuesday of the month, and Daily Bread deliveries are the 1st and 3rd Tuesday of the month. Days can change. Visit the Contact Us page and mention that you want to volunteer and we for this and we will add you to our email list. If added to the list, you'll be notified about the deliveries and if you can come help out that would be great. Food Deliverer - Picks up To Go boxes from the Table and delivers to home bound people. Visit the Contact Us page and mention that you want to volunteer for this and we contact you with more information. Have a food drive! Create a theme, choose an item, canned goods...anything is appreciated! Join our monthly food collection. 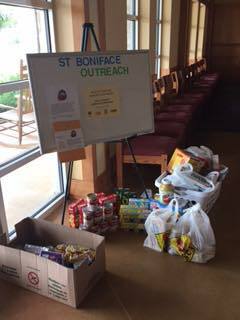 Several Churches in the Comfort area collect specific items for the Food Pantry. Just contact us to be added to the email list so you will know what we're looking for this month!